I just uploaded our November Specials on my FSJ Specials page. We have a great sale of assorted dies and our fabulous jewelry collection! Check it out and don't miss out! Sale starts Nov. 1 and ends the 30th! But our Planner products are still on sale until October 31. 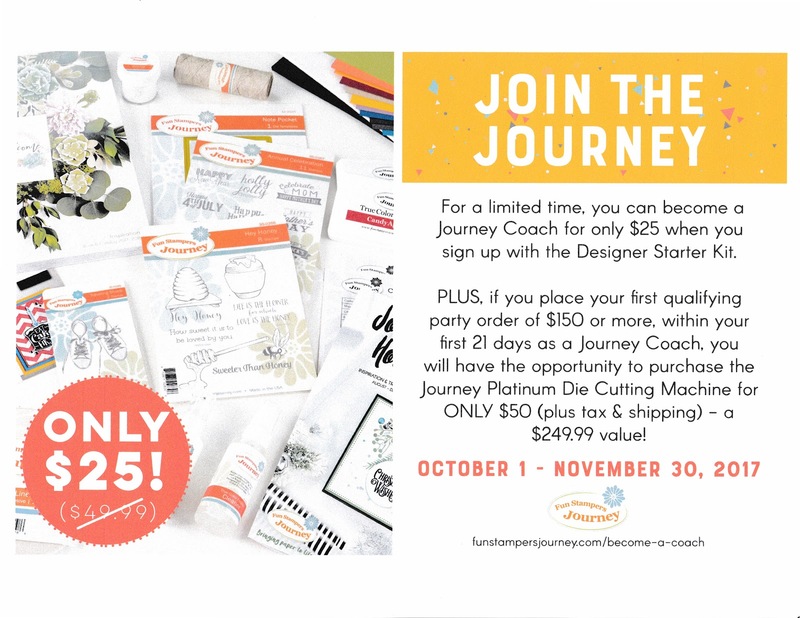 And you can still join Fun Stampers Journey as a hobbyist through the end of November for $25!! This is the lowest price to join a great company ever!!!! 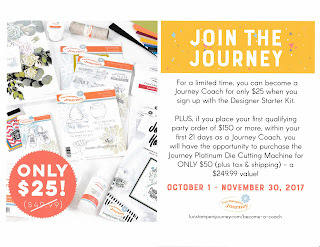 And all starter kits are customizeable! Head over to my FSJ website (click on the top logo in the sidebar) then click on Become a Coach. I love this company!!! !